On postcard BG-30315 from Bulgaria is the Pirin Mountains in southwestern Bulgaria, with Vihren as the highest peak shown in the background. 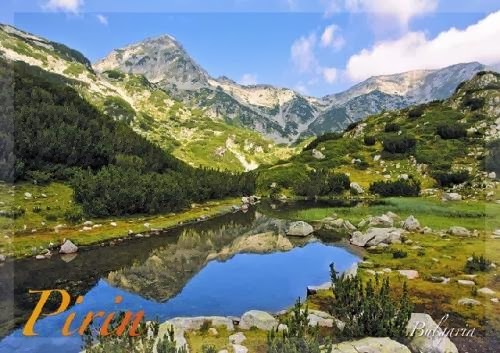 Most of the mountain range is within the Pirin National Park. The mountain is named after Perun, the highest god of the Slavic pantheon and the Thunder and Lightning God.